Here’s a fun clock, The Blackboard Wall Clock, exactly like those blackboards we had in school many years ago. This takes me back to the days I used to spend writing lines on the blackboard. Go back to schooldays past with this blackboard clock made of famous Pennsylvania black slate. The surface is perfect for jotting down shopping lists, family reminders, notes to yourself. Comes with a piece of chalk that fits in a holder on the bottom; felt eraser not included. 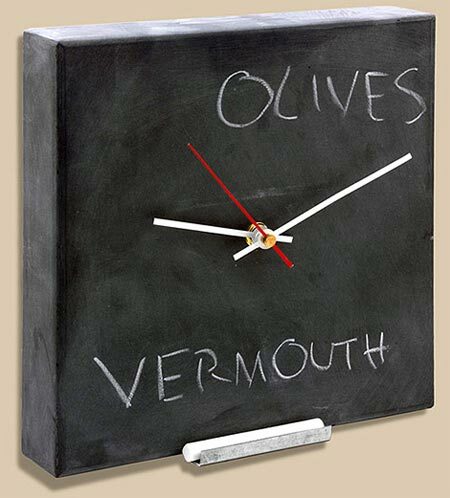 The Blackboard clock is available to buy online from eco-artware for $80.